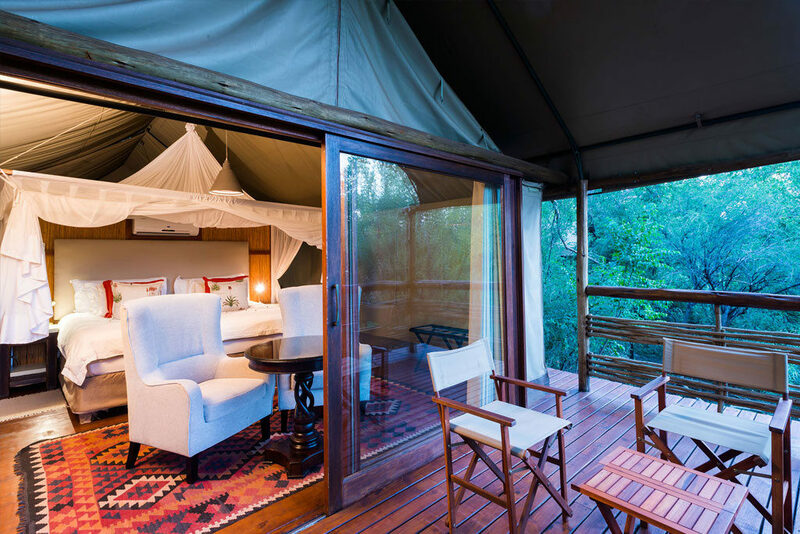 The main camp at aha Thakadu River Camp is located between the Marico River and a small tributary of the Marico. 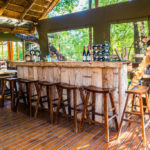 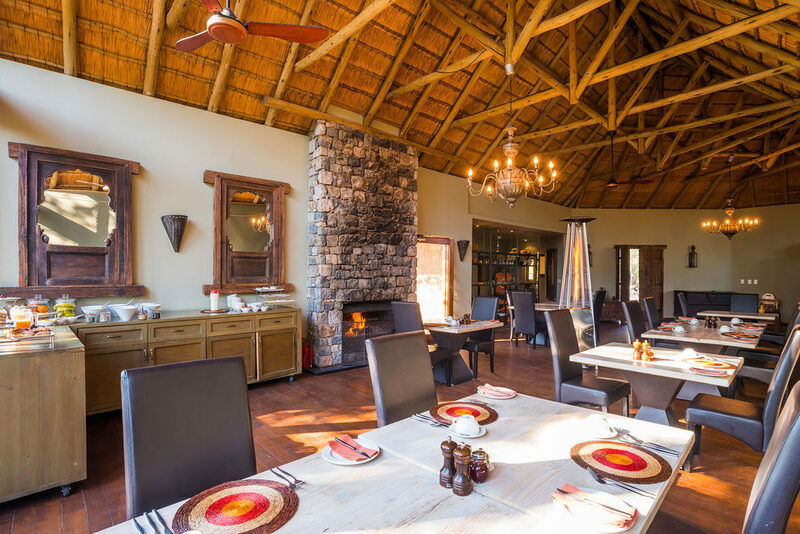 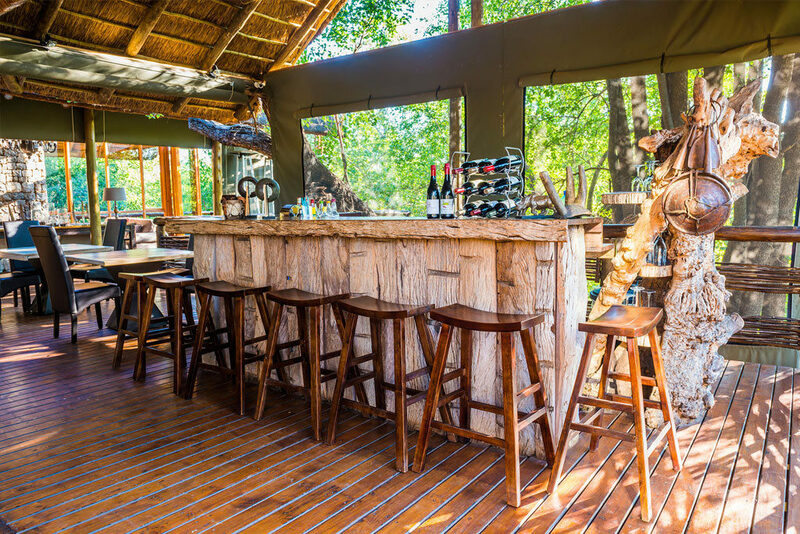 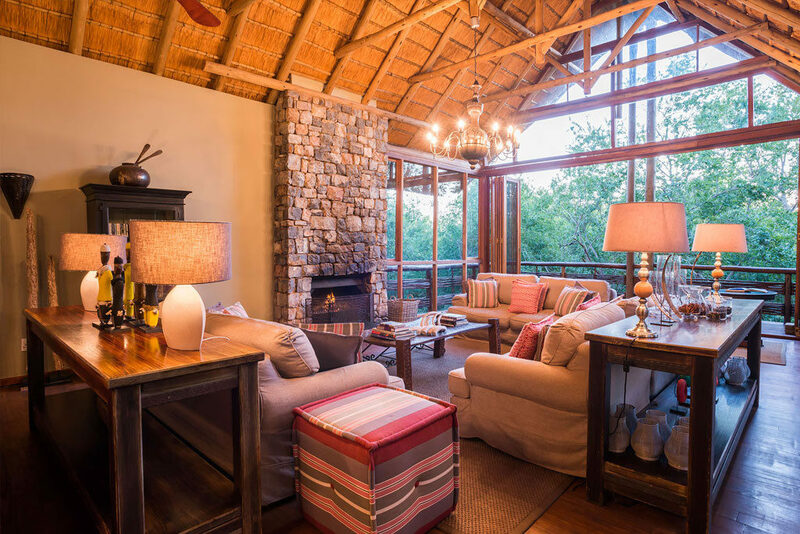 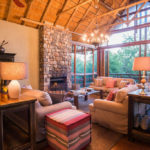 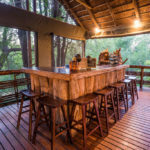 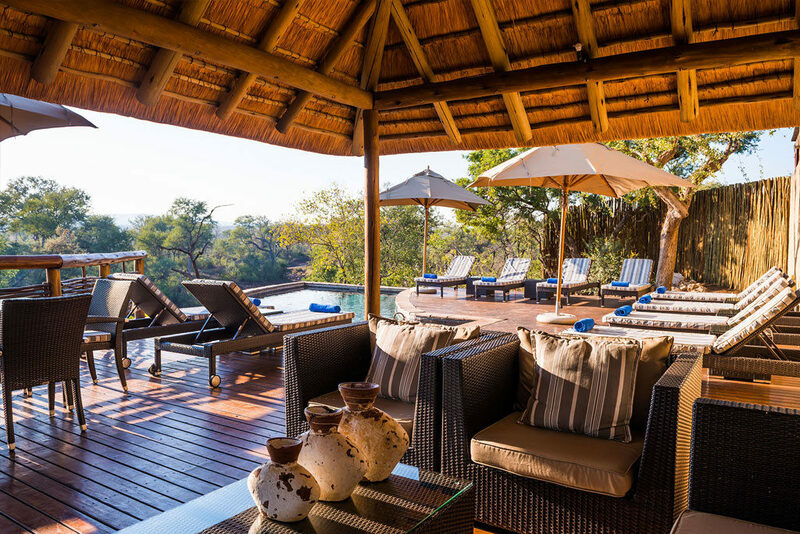 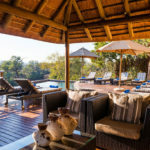 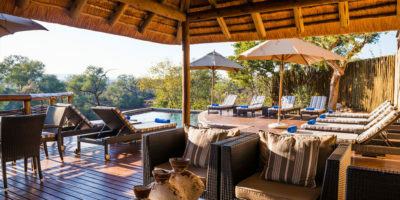 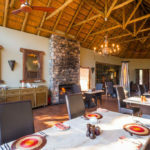 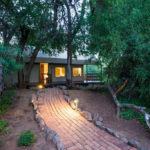 The Lodge has a welcoming open-plan lounge, dining area and reception as an African bushveld oasis that offers exciting game drives as a compliment. 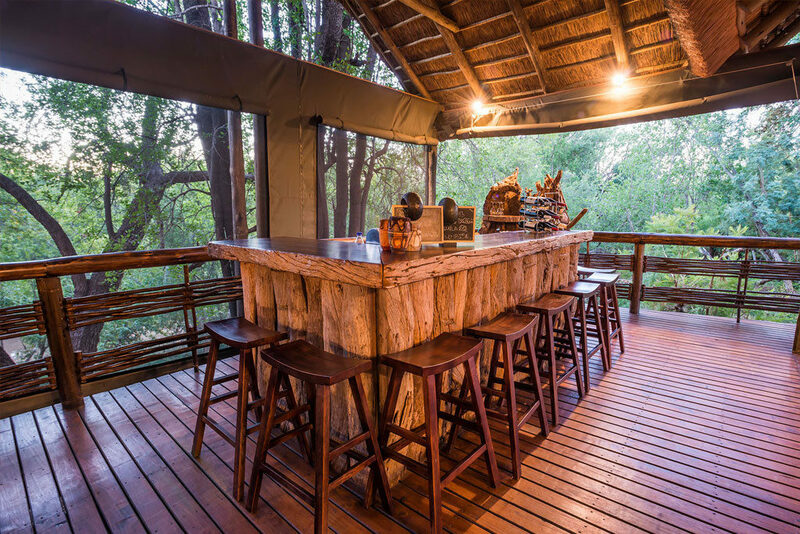 The attractive bar and pool area are also ideal for relaxation, and the entire Lodge welcomes families. 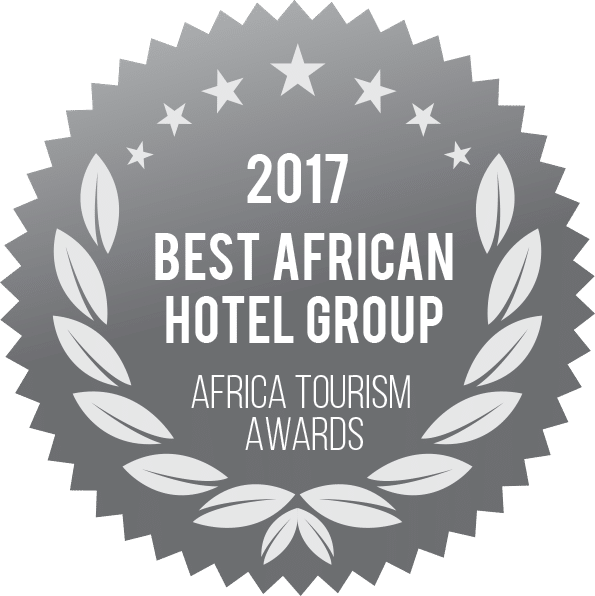 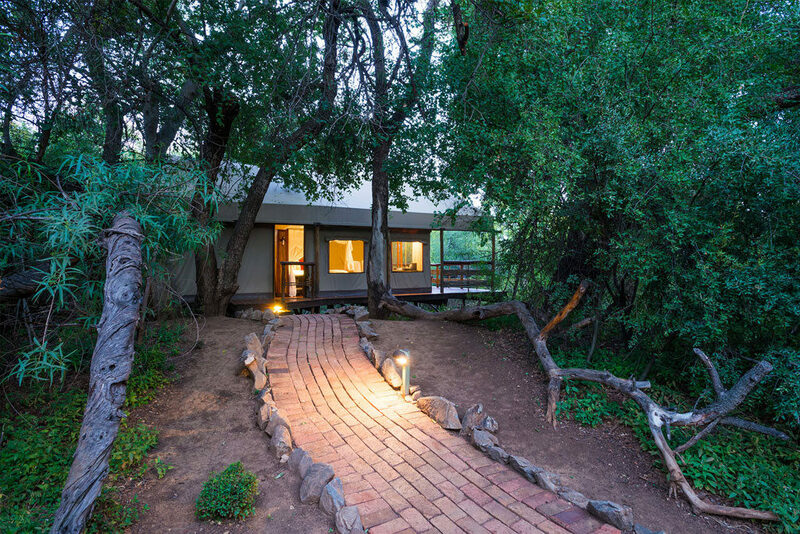 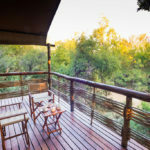 The 5-star accommodation in Madikwe comprises 12 x Tented Suites that boast a strong Afro-Asian safari ambience and viewing decks overlooking the Marico River. 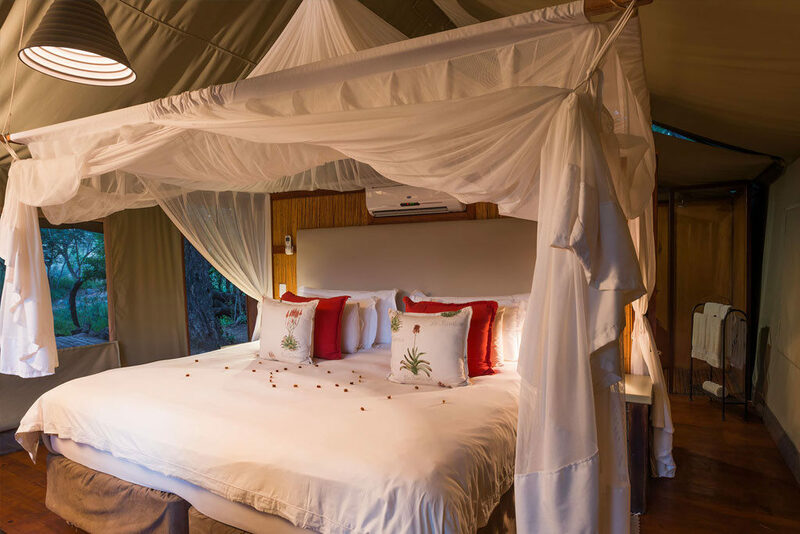 These spacious tents offer every comfort and luxury with features including air-conditioning, hairdryer and power 220vAc. 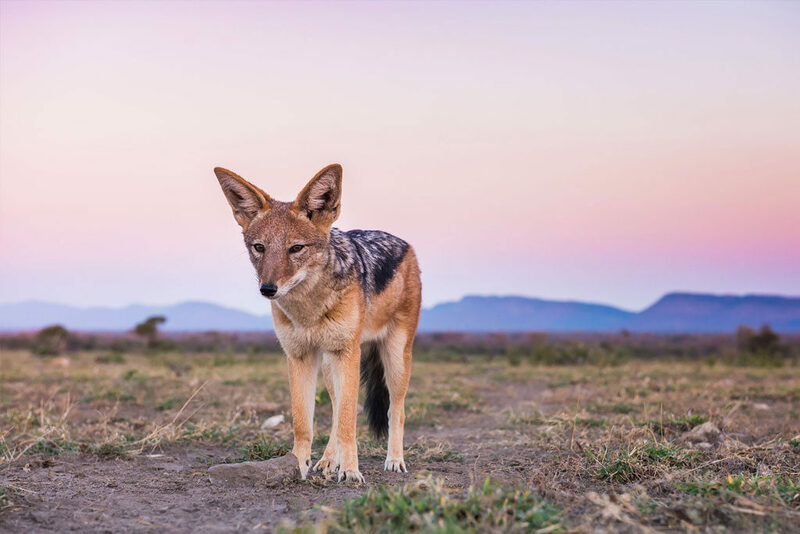 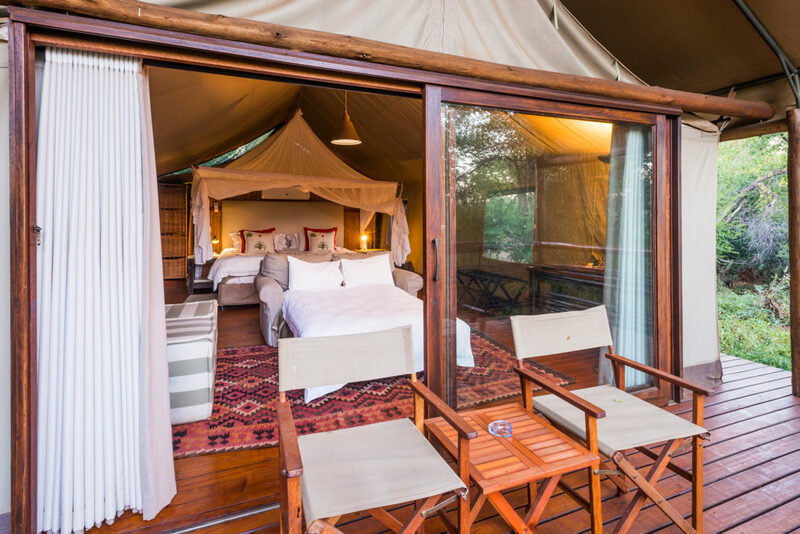 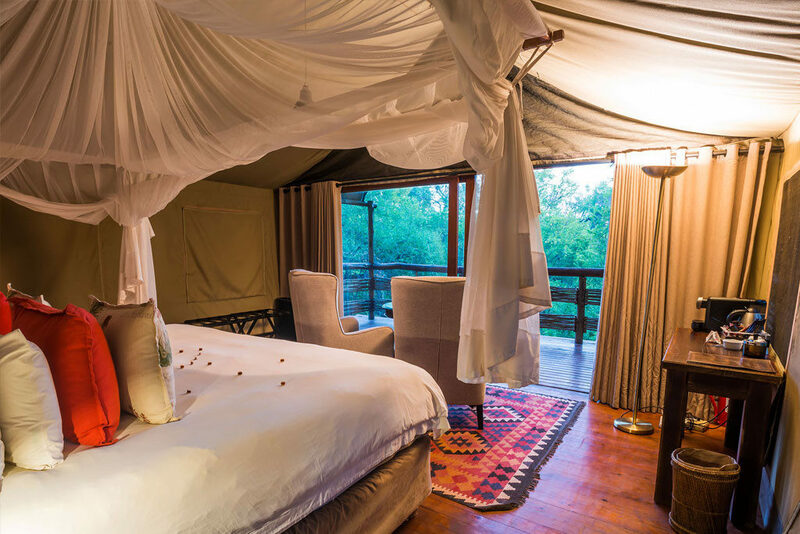 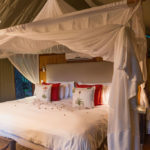 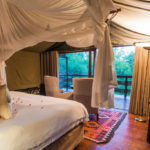 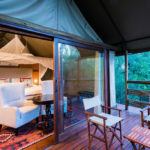 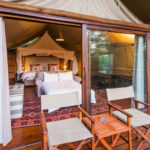 Aha Thakadu River Camp certainly stands out from the crowd of standard game lodges, as it is ideally positioned in a transitional area which means it draws wildlife from two different, yet complementary, ecosystems. 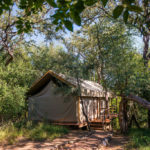 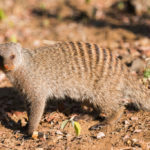 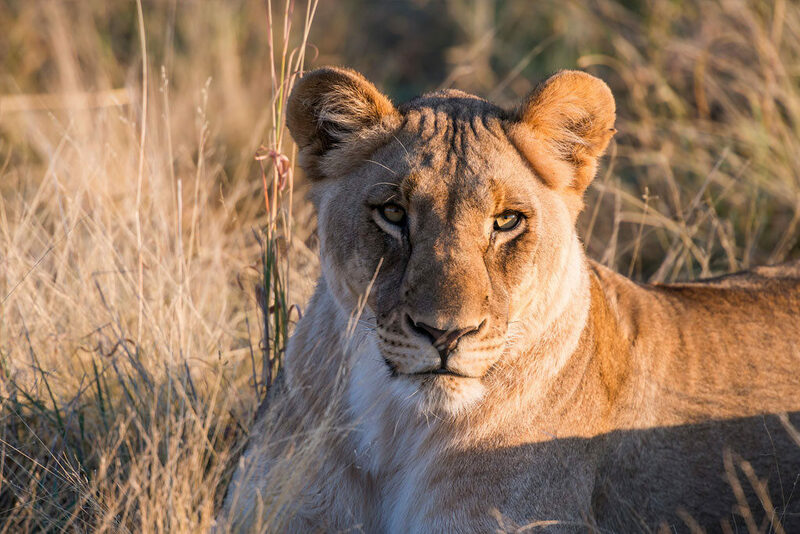 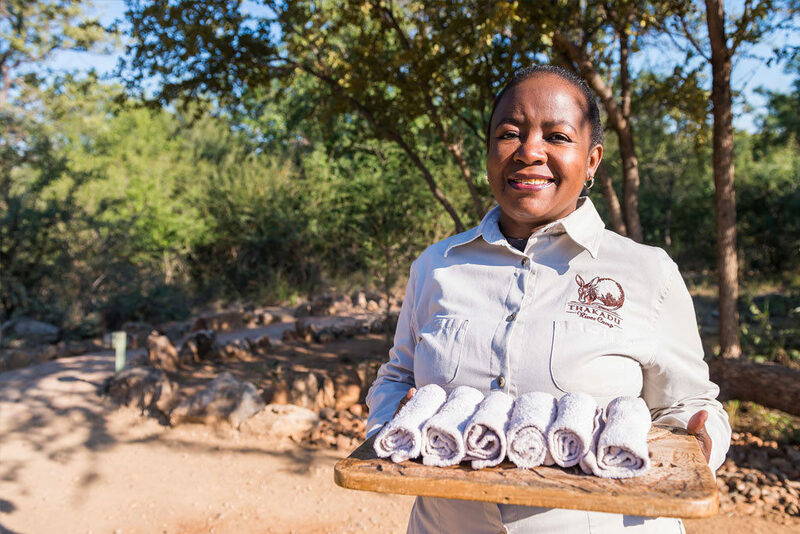 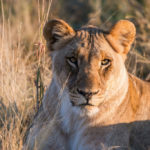 The beauty of aha Thakadu River Camp is complimented by a team of dedicated and highly trained game rangers* who understand the fauna and flora within the Madikwe Reserve. 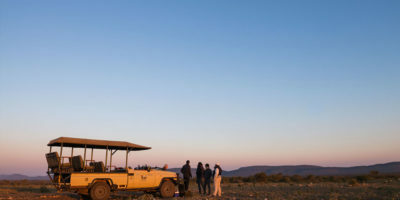 These professionals are skilled in locating as many animals as possible in this malaria-free area. 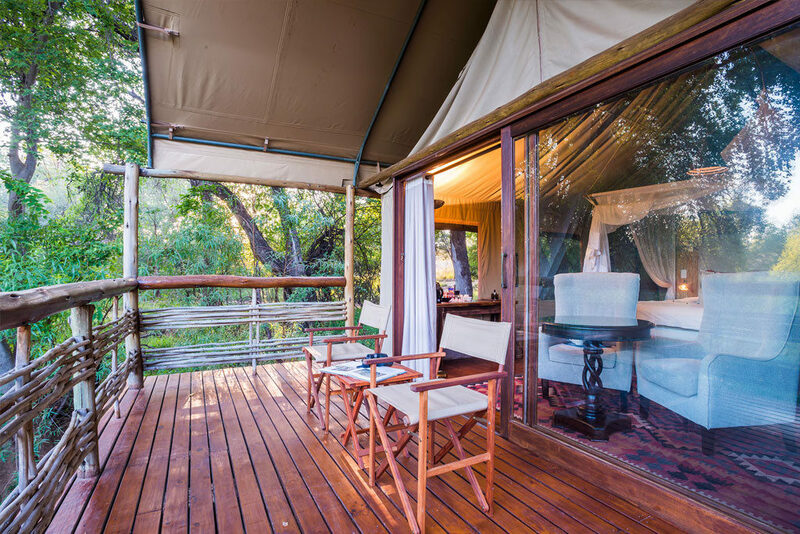 Because comfort is paramount, this 24-bed camp, with its exceptionally private location, assures guests of a tranquil, relaxing experience. 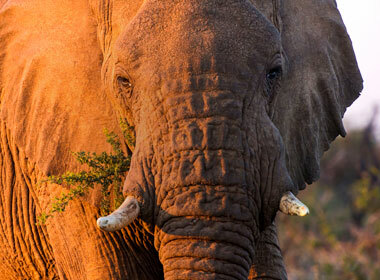 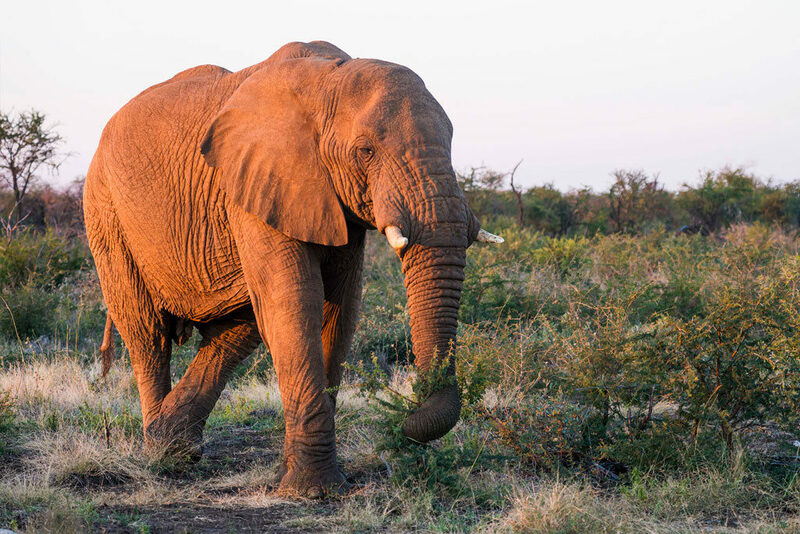 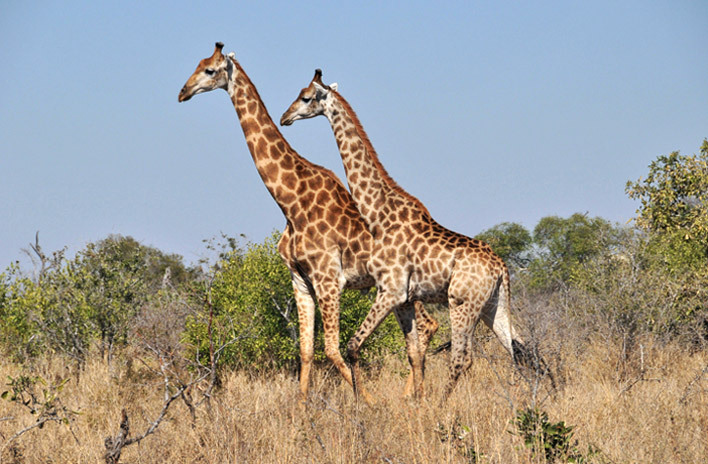 *Madikwe Game Reserve is a private game reserve and does not allow ‘self-drive’ game drives. 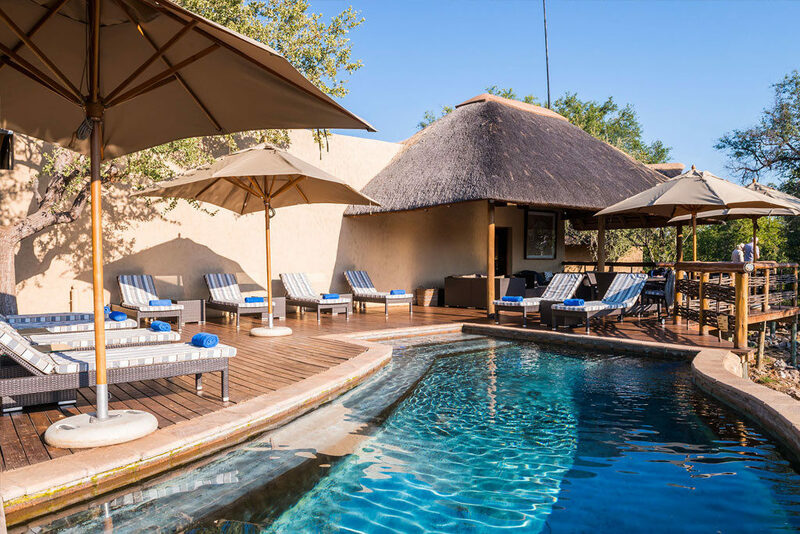 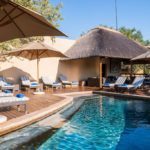 Madikwe Game Reserve accommodation is available in luxury tented suites, as well as an inviting main camp area that offers guests an open-plan lounge, dining, pool and bar area to relax in after a day of game viewing. 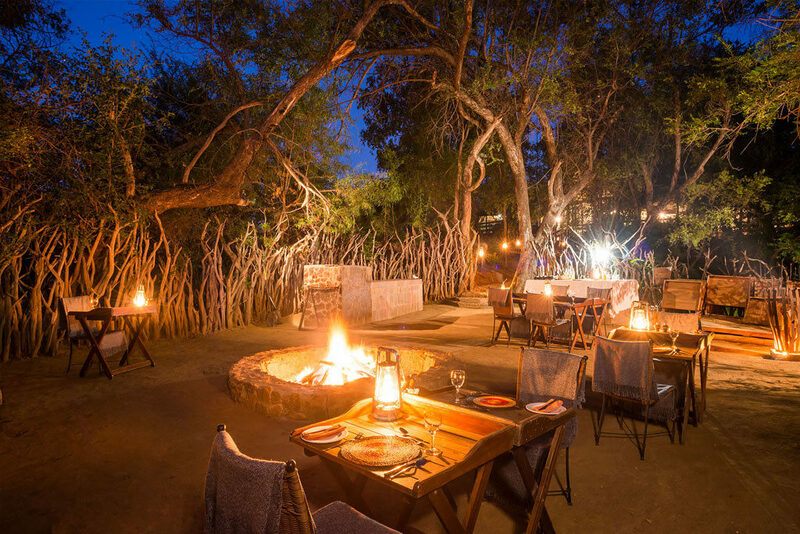 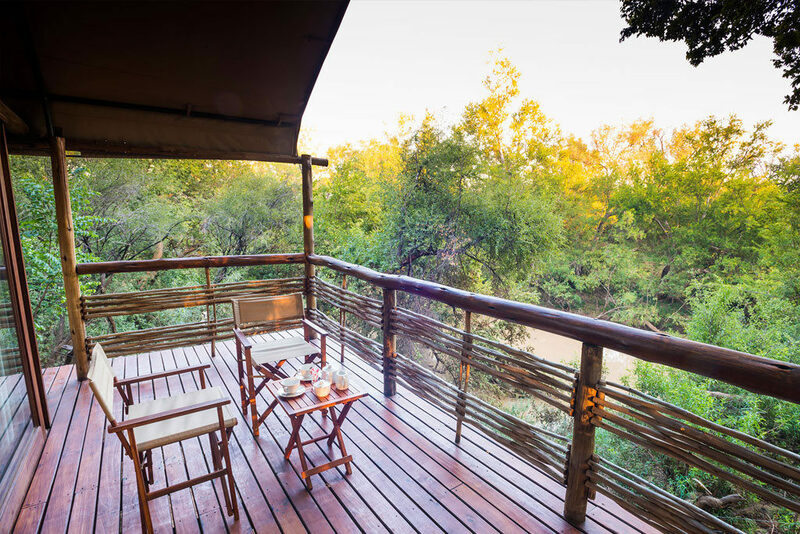 Besides indulging in the elegant luxury and warm, personal service of aha Thakadu River Camp, guests can experience the essence of nature by joining us for a range of activities*, designed to ensure the ultimate African adventure! 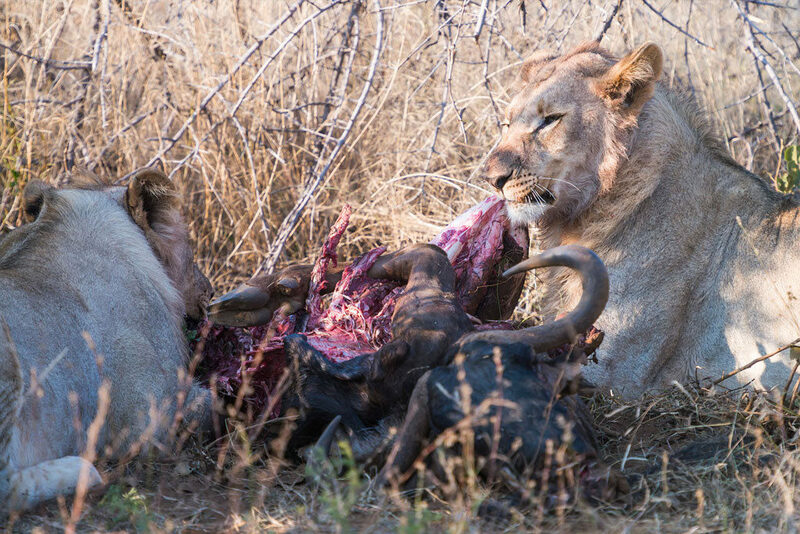 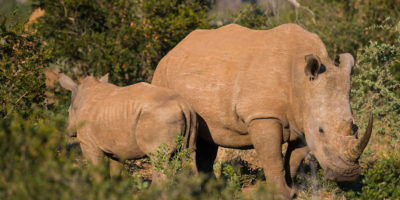 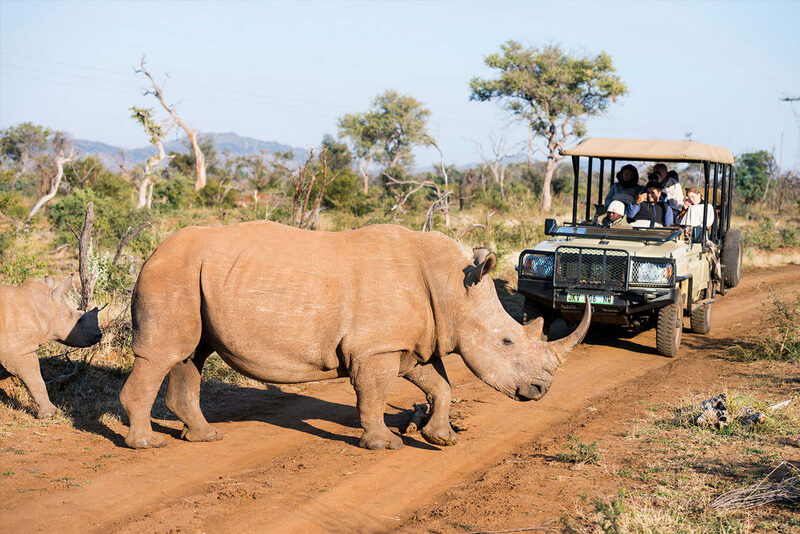 *Children under 6 years can join us for a 1.5-hour game drive especially for them after breakfast, as they cannot be permitted on standard game drives. 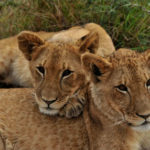 Parents are welcome to join. 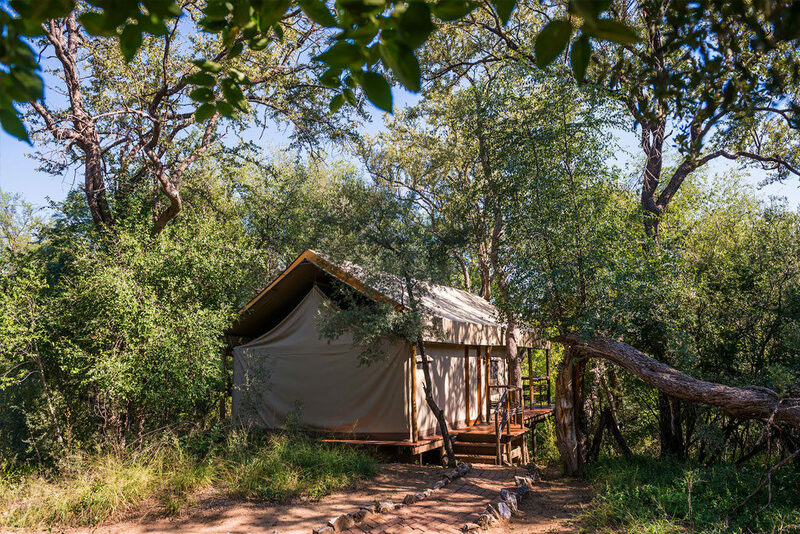 Wake up in the true splendour of Madikwe River Camp, situated along the Botswana border, and start your day amidst nature. 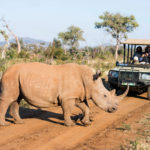 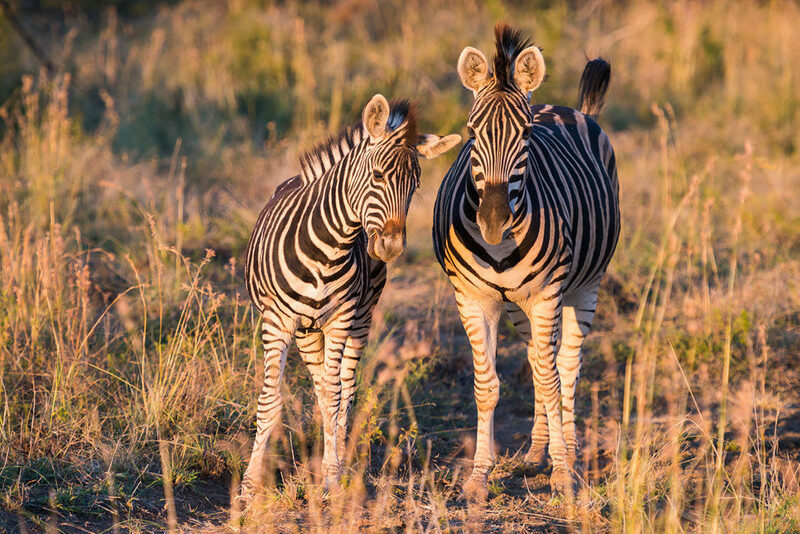 Our game drives are led by highly trained rangers with a vast knowledge of the fauna and flora in the area. 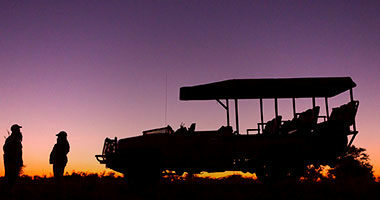 Get an early start to the day and enjoy the sights, sounds and smells that accompany the dawning of a new day. 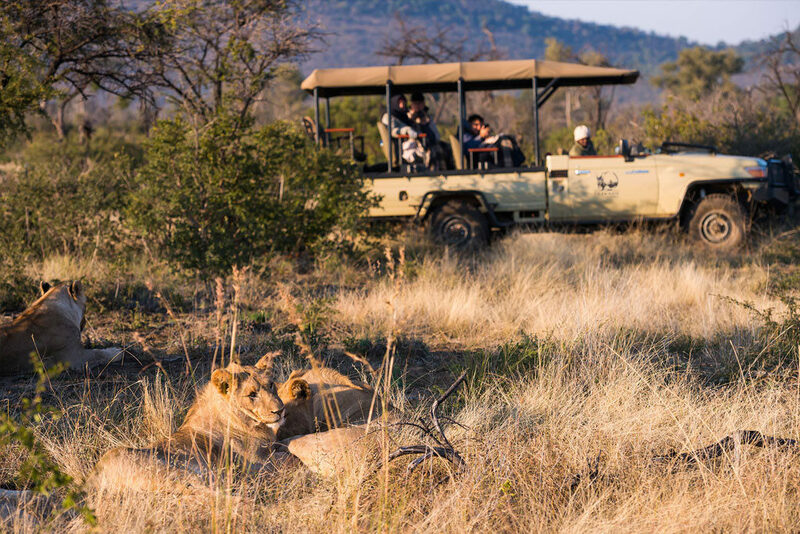 Depending on the time of year, morning game drives depart at different times. 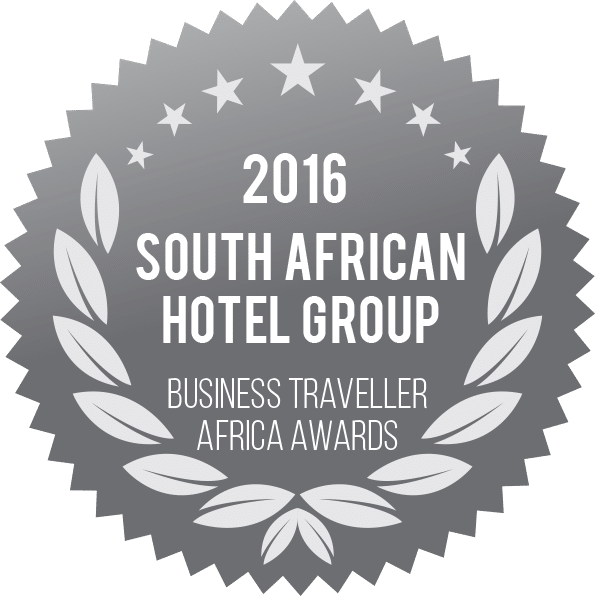 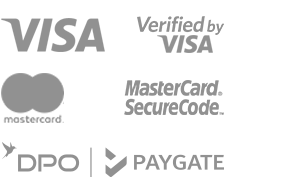 Please book and check with the reception with regards to departure times. 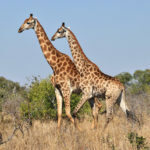 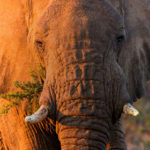 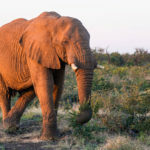 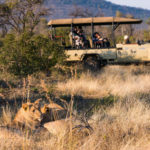 Expect to see everything from elephant and rhino to lion and giraffe during morning game drives. 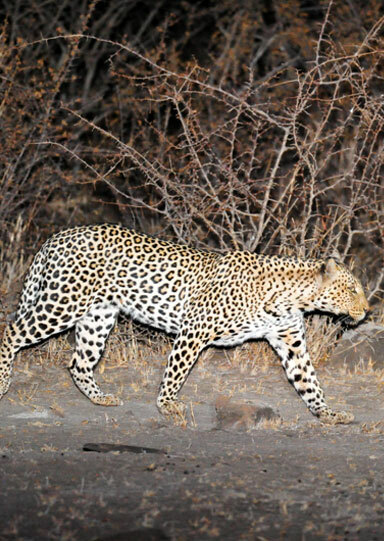 Leopards are a bit more difficult to spot but should you wish to find this well-hidden creature, evening game drives are your best bet. 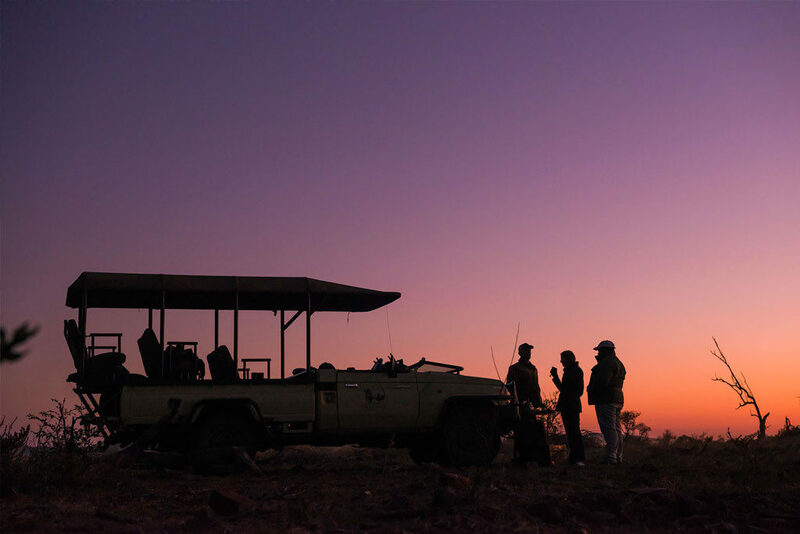 As the sun sets, an entirely new game viewing experience presents itself.  Once again, depending on the time of year, departure time will differ. 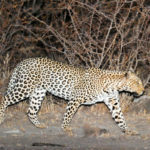 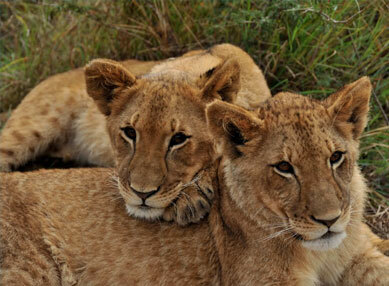 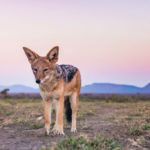 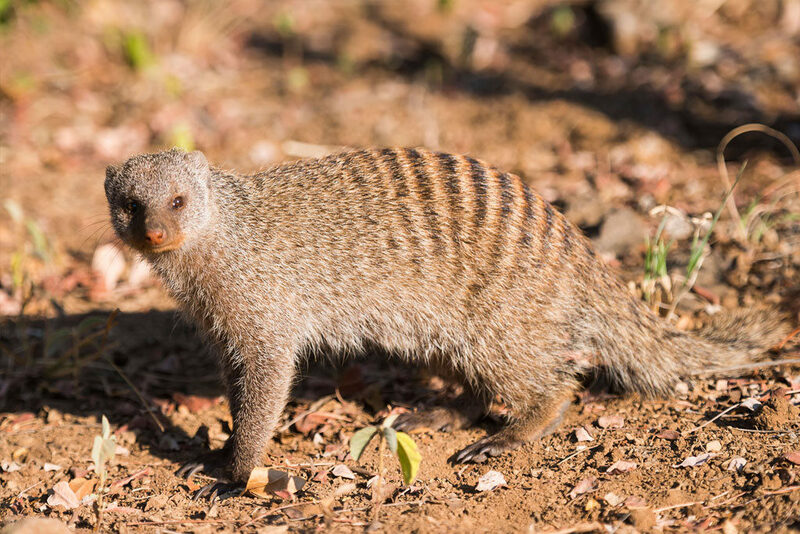 Evening game drives offer a host of wildlife: hyena, lion, jackals, leopard, birds of prey and much more. 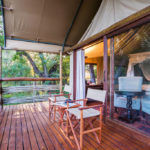 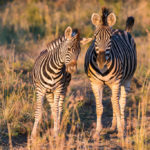 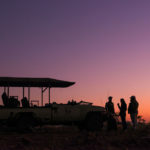 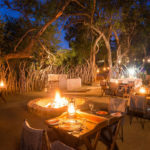 aha Thakadu River Camp offers game drives where professional and informative rangers will gladly assist with educating you about various bird species you may encounter. 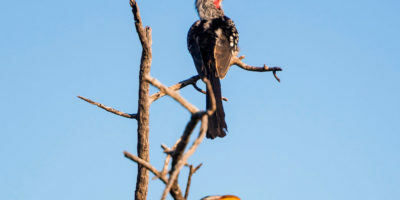 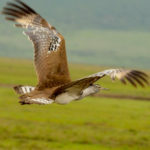 The great variety of habitats, from forests and rocky hills to open grassland and dams, provide the perfect setting for a magnificent diversity of bird species throughout the game reserve. 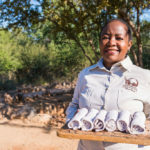 Birdlife at Madikwe Game Reserve comprises migrants and permanent inhabitants. 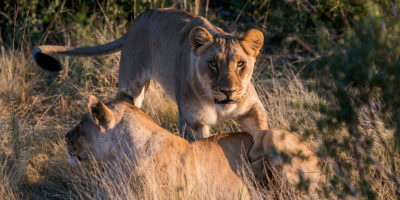 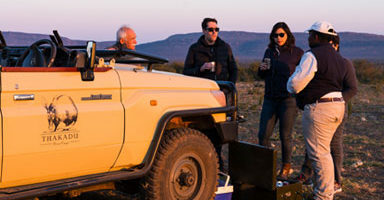 Early morning and late afternoon drives are the best times to view wildlife and birdlife through Madikwe Game Reserve. 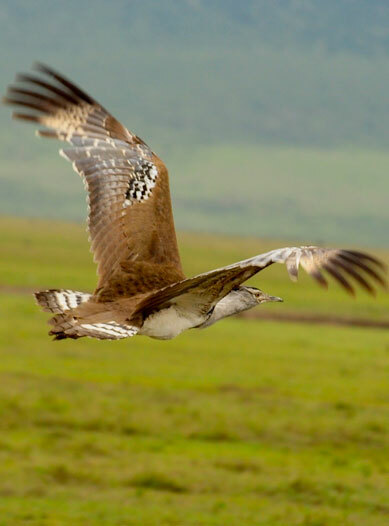 Hear the sounds of a wide range of birdlife and have your camera and binoculars on hand.